Book NOW to receive 10% off our already great last minute rates. Subject to apartment allocation, availability and not available in conjunction with any other promotion, offer or discount. Quote Code 'DIRECT' to receive this offer when booking. Phone, OR BOOK NOW to receive 10% off our already great last minute rates. All you need to do is quote code 'DIRECT' when making your booking to receive this discount offer. 2 nights` accommodation in a 1 Bedroom deluxe plus a trip for 2 aboard Whitehaven XPRESS to the world-famous Whitehaven beach- including an Aussie BBQ lunch on Whitehaven Beach. 2 nights` accommodation in a 2 Bedroom Apartment plus a trip for 4 aboard Whitehaven XPRESS to the world-famous Whitehaven beach- including an Aussie BBQ lunch on Whitehaven Beach. Stay in a spacious One Bedroom Deluxe or Two Bedroom apartment with picturesque views over the Coral Sea & marina. The apartments are fully self contained with full sized kitchens and include laundry facilities. They are ideally situated close to the marina and only a stones throw from peaceful Shingley Beach. 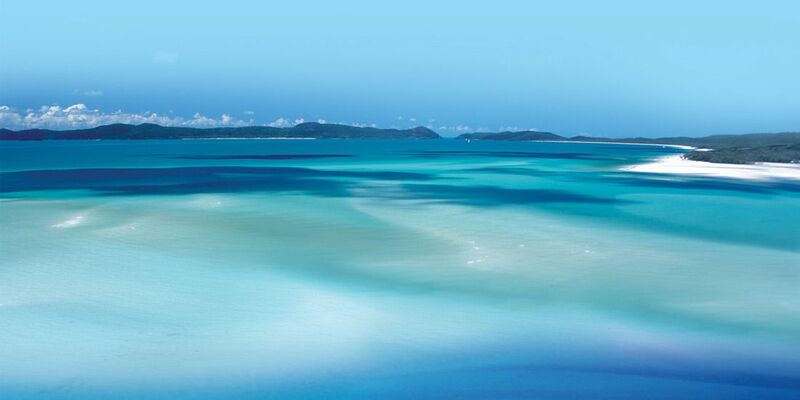 Your wonderful Whitehaven Xpress Tour cruises the length of the world famous Whitehaven Beach, offering the opportunity to swim, walk or relax on the beach as well as snorkelling over spectacular coral or viewing it from a glass bottom boat. Enjoy a guided bushwalk to Hill Inlet Scenic Lookout where you can take photos of the spectacular Inlet & Whitehaven Bay. This great tour includes morning tea, an Aussie beach BBQ on Whitehaven Beach and an afternoon cheese platter. Spark up that touch of Romance in your Relationship . Spend 2 nights in an Ocean View Studio Apartment. This spacious apartment has a kitchenette, bathroom and a large private balcony for you to relax and enjoy the tropical outdoors. Offering spectacular water views across Abell Point Marina to the Whitsunday Passage and Islands, undercover car parking is also included. Chocolates and Champagne on arrival, plus a Dual Massage, Facial or Foot treatment of your choice at the Resort, Enliven Massage & Body Centre. A fabulous Romantic Sunset Cruise for 2 on Providence a Classic 62 ft gaff rigged Schooner , around the foreshores of Airlie Beach . The package can be upgraded to a One Bedroom Apartment if desired for an additional $ 60 for 2 nights. Chocolates and Champagne on arrival, 2 x 30 minute Treatments of your choice at Enliven Massage & Body Centre. A Fabulous Romantic Sunset Cruise for 2 on Providence - a Sailing Adventure experience. Available from $580 Twin Share. Upgrade this Package to a One Bedroom Deluxe Apartment for an additional $60 for 2 nights accommodation. 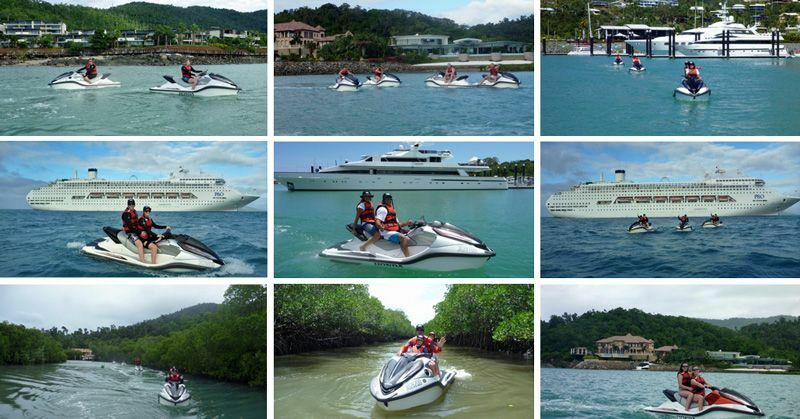 Ride your own luxury Jetski into the beautiful world heritage Whitsunday Islands Marine Park. Enjoy a perfect mix of adrenalin & Eco adventure with 1.5 hrs jetskiing around beautiful bays with the AIRLIE ADVENTURE tour or chose the JETSKI TO PARADISE tour which includes 2 hrs jetskiing with a 1 hour stopover at the exclusive Paradise Cove. All riding apparel, safety gear included. 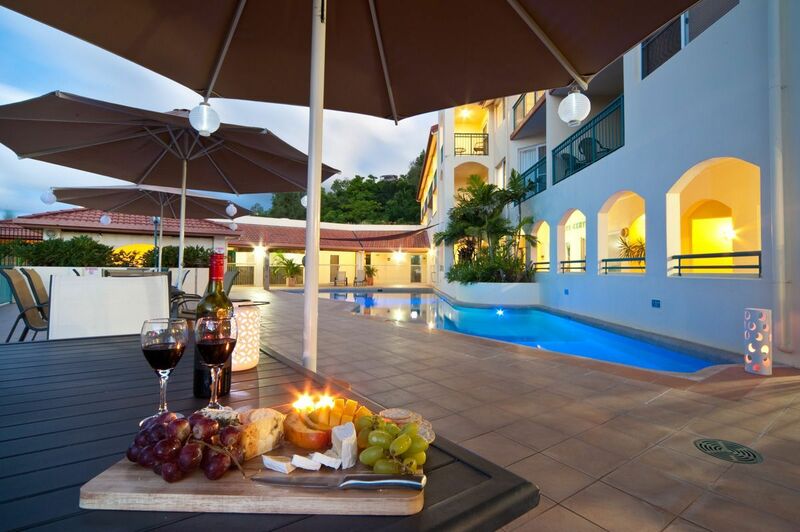 Plus 2 nights accommodation in a Garden View Studio Apartment with complementary Wine & Cheese on arrival.